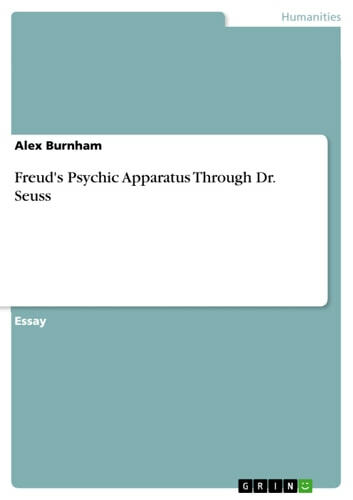 Essay from the year 2011 in the subject Psychology - Personality Psychology, Rockhurst High School, language: English, abstract: This texts overviews the work of Sigmund Freud while comparing Freud's work to The Cat in the Hat, by Dr. Seuss. Seuss's children's book uses characters whose archetypes fit perfectly into Freud's 'psychic apparatus' -- his schematic of the human mind. The purpose of comparing the layout of a mind to characters in a book is to help foster understanding more easily. 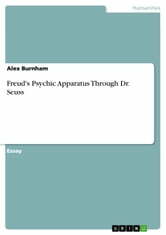 With realistic examples, readers can comprehend psychoanalysis and not become bogged down with mundane psychology.